How deeply do you want to connect with the spirit of Ireland? 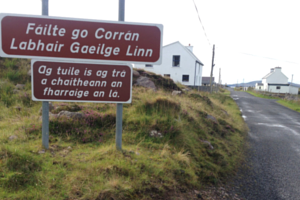 Whether you want to deepen your connection to your Irish heritage, or you want to explore the literature of one of the oldest writing cultures in Europe, learning the Irish language is an irreplaceable step. If you want to see the world as your Irish forebears did, you’ll need the same linguistic lense they saw the world through. Irish is one of Europe’s oldest written languages and possesses a celebrated body of literature. 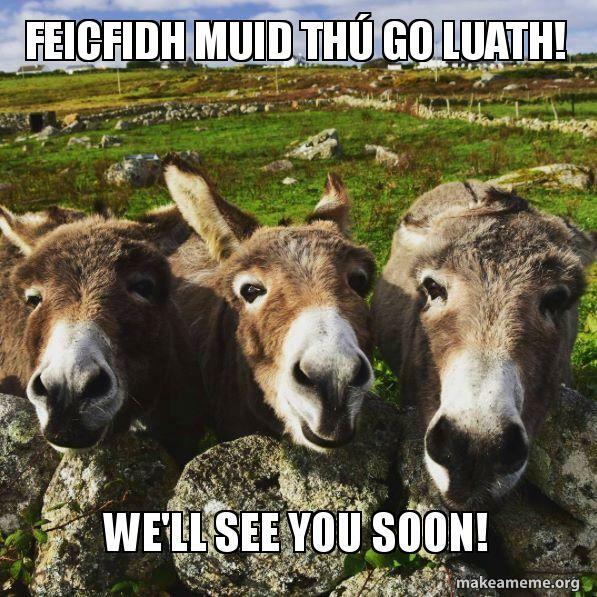 Whether you’ve always wanted to learn this fascinating minority language or you haven’t considered it until now, now’s your chance to begin your journey with Irish Gaelic. The Knoxville Irish Society (Cumann Gaelach Knoxville) - a local nonprofit promoting Irish culture and uniting the local Irish diaspora - is organizing a new beginner Irish language course for 2019. We’ll meet once a week every Sunday from 12:30PM to 2:30PM in the classroom at 3131 Morris Ave (the City of Knoxville’s public works center) beginning January 20. One Sunday per month, we’ll meet at another location (TBA). Tuition is $20 per semester, and there will be two semesters to Level 1 (the last day of class will be in December 2019). The first semester will also include a $55 fee for the textbook, which will be yours to keep. So, the fee for the first semester will be $75, but the second semester will be a total of just $20. All students must be members of the Knoxville Irish Society, which is free of charge. 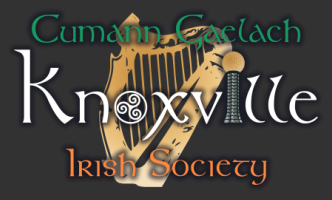 If you’re not already a member, please go to knoxvilleirish.com/join and fill out the form (this form is in addition to the class registration one below). Please click this link and fill out the Google Form to enroll in the class. If you have any questions or would like help, please email the Education Committee Chair (Oifigeach Oideachais), Seán Óg Mac Cathmhaoil (John McCaul), at john@knoxvilleirish.com. We look forward to meeting our 2019 beginner students and kicking off an exciting new year of spreading our indigenous language to Knoxville’s Irish diaspora. Go raibh maith agat! Thank you!